Potential Energy is stored energy that an object possesses because of it's position, internal stresses, electric charges, and/or various other factors. An object can obtain energy depending upon its position. 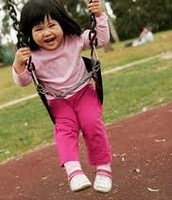 For instance, when a person is pulled back on a swing, they are building up potential energy for as long as they are held there. Or even a bow and arrow; when the archer draws the pow back, it creates tension on the string due to built up potential energy. 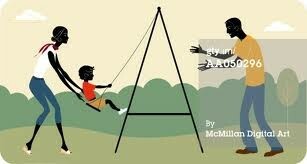 While the mom pulls her child back on the swing, she creates potential energy with the angle the child forms in relation to the ground and gravity. 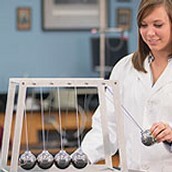 When the end ball is pulled back, it is really the same as the swing example. 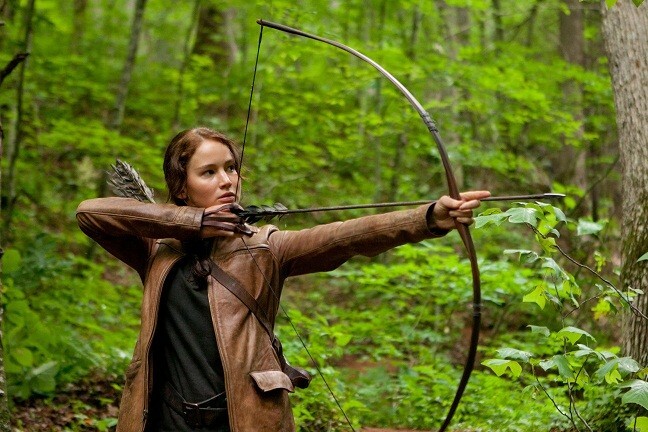 When Katniss draws her arrow, she is creating potential energy with the tension pushing back on the string. Kinetic Energy is the energy of a body in motion. 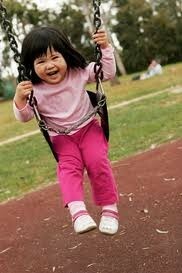 Going off of the earlier examples, when the mother let's go of the swing, her child's potential energy will transform to kinetic energy since it has been set in motion. 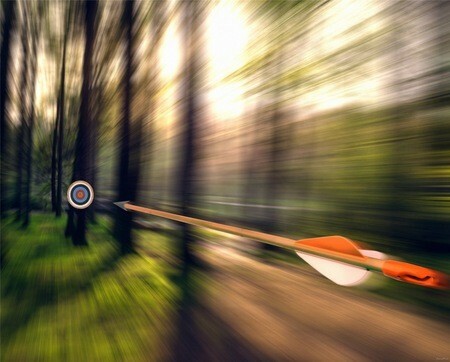 Also, once the archer let's go of the arrow, well..we know what happens. BOOM. Kinetic Energy. Once mom let's go, the fun begins! 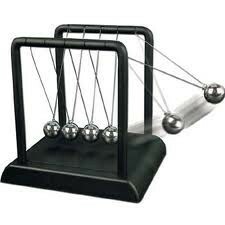 Motion=Kinetic Energy. Simple as that. Nooooowww, what we've all been waiting for... Conservation of Energy!! The principle of Conservation of Energy states that energy cannot be created nor destroyed, only transformed. Energy can take many forms like the ones mentioned about, potential and kinetic, as well as others like heat and light energy. According to the Law of Conservation of Energy, the sum of all energies within a system is constant; however, it may not be the same KIND of energy in the end that it started with.